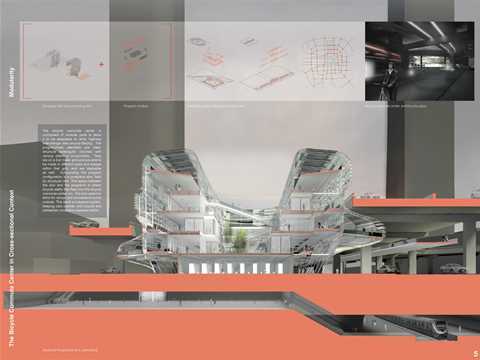 Project entry 2011: Cultural statement. 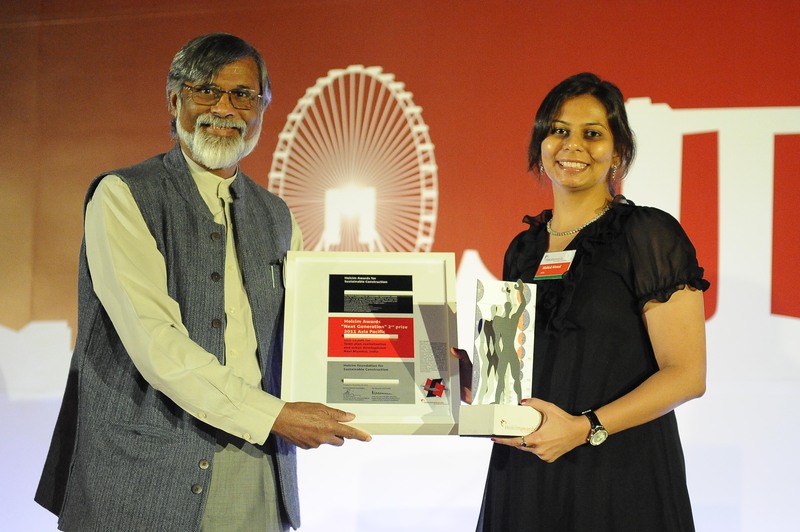 Holcim Awards 'Next Generation' 1st prize 2011 Asia Pacific presentation for 'Bicycle use for commuting revitalization project, Beijing, China' (l-r): jury member, Ashok B Lall, Principal, Ashok B Lall - Architects; Visiting Professor of Architecture, Guru Gobind Singh Indraprastha University, New Delhi, India and winner August Liau, Massachusetts Institute of Technology (MIT), United States. Project entry 2011: Proposal overview. 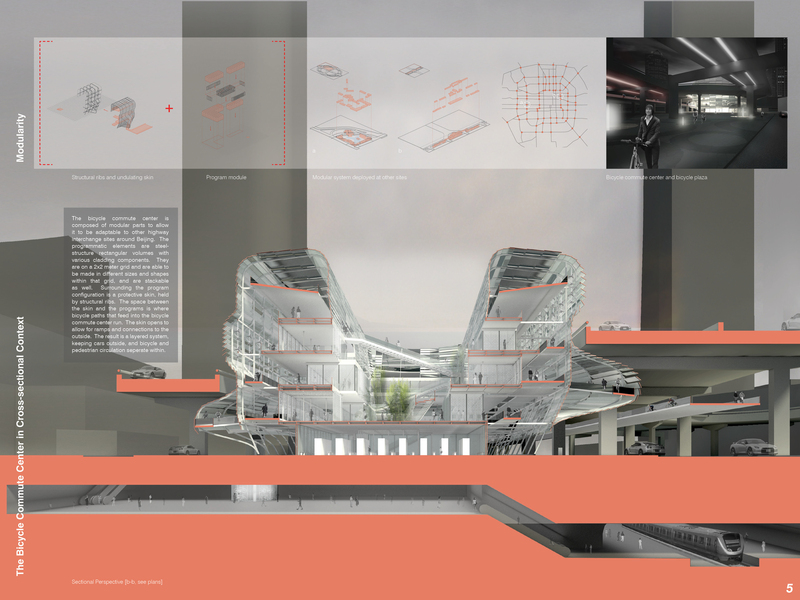 Project entry 2011: Network concept. 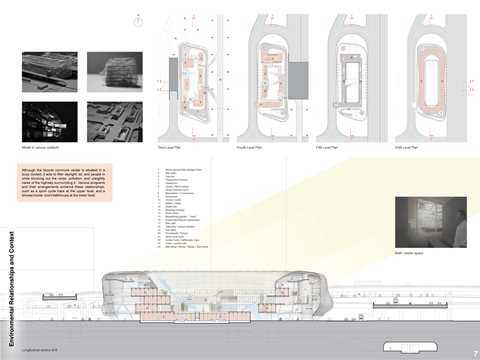 Project entry 2011: Programmatic proposal. Project entry 2011: Sectional perspective. Project entry 2011: Environment and context. Project entry 2011: The “Oasis”. 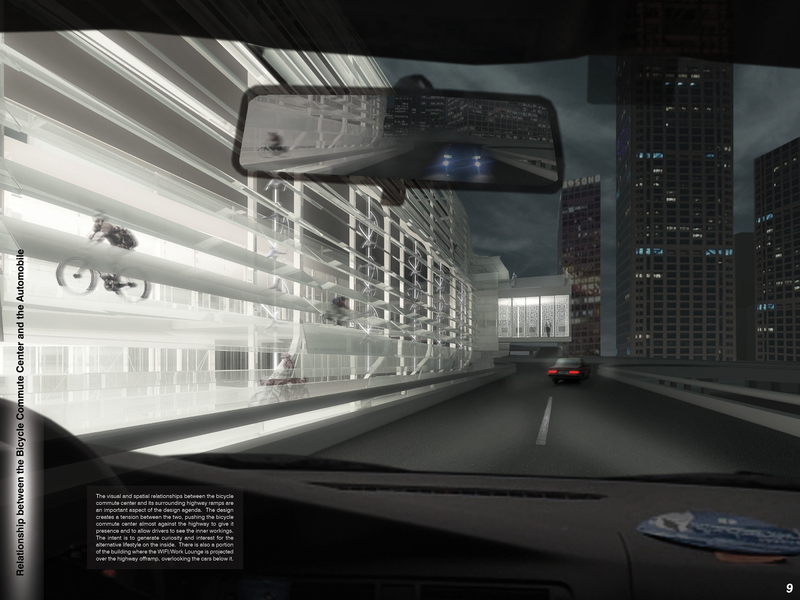 Project entry 2011: Proximity and tension. 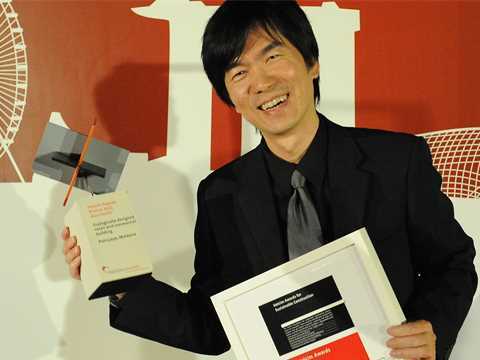 Project entry 2011: Author portrait. 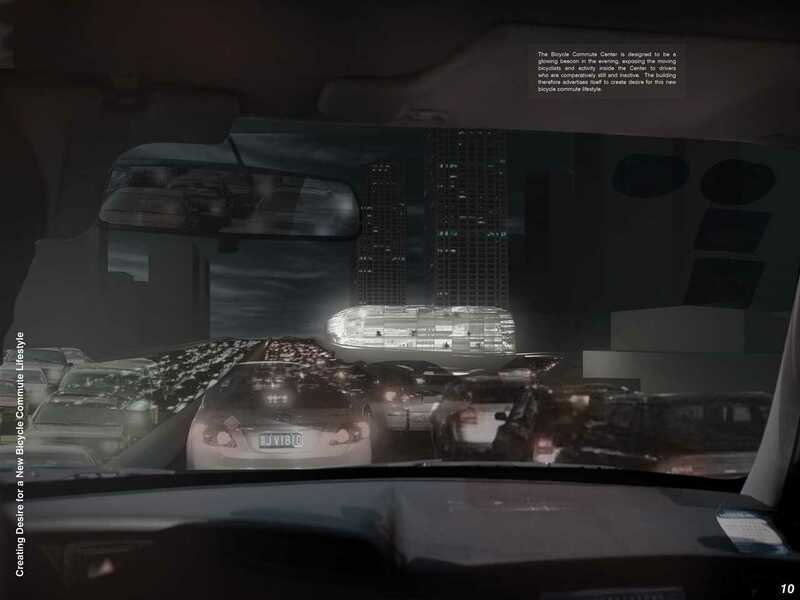 Like many rapidly-growing cities with a prospering society, Beijing faces significant problems caused by rapid growth in private automobile traffic – and a further 1,800 cars are added to the city’s streets every day. 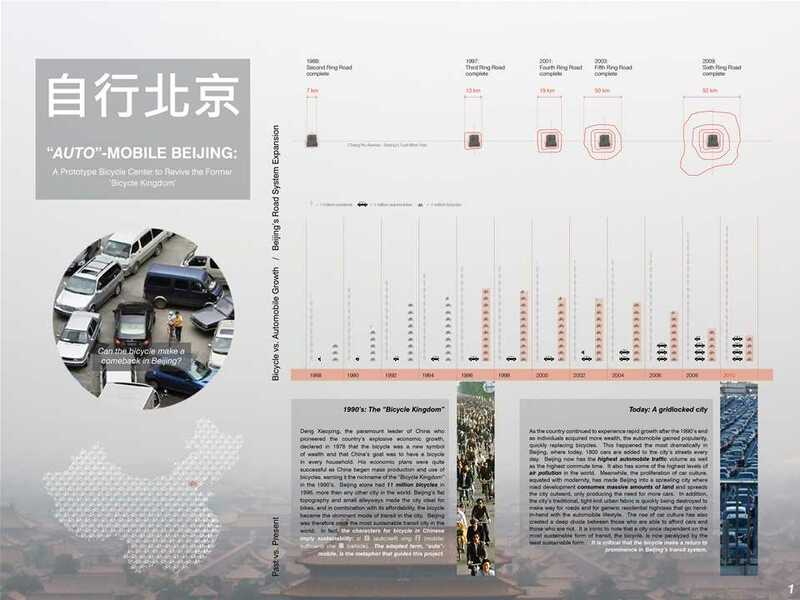 The Auto-Mobile Beijing project aims to reestablish a bicycle culture in the former “bicycle kingdom” providing the potential to be a model for other cities with similar conditions. 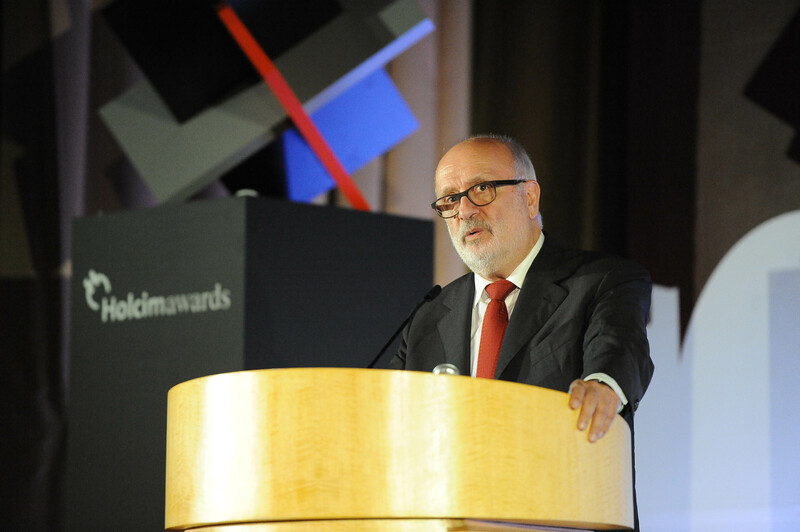 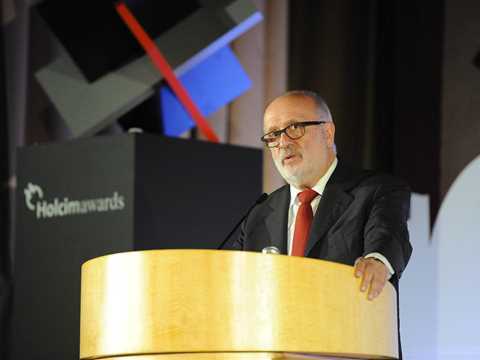 Rolf Soiron, Chair of the Advisory Board of the Holcim Foundation, Switzerland – welcome on behalf of the Holcim Foundation and its sponsor. 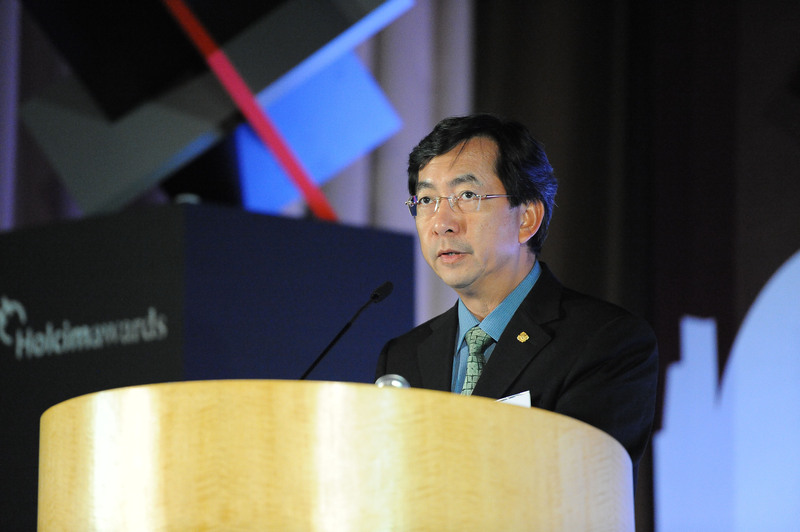 John Keung, CEO Building Construction Authority of Singapore – welcome address at the Holcim Awards 2011 Asia Pacific ceremony. 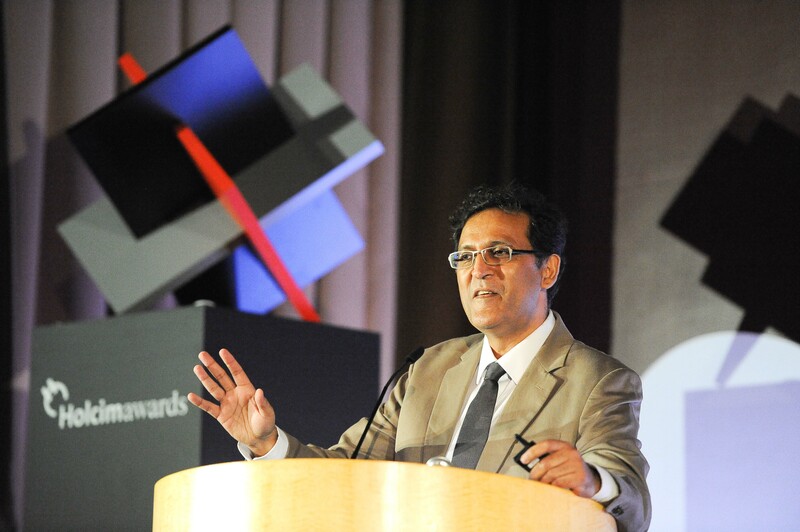 Nirmal Kishnani, Program Director, Department of Architecture, National University of Singapore – keynote address at the Holcim Awards 2011 Asia Pacific ceremony. 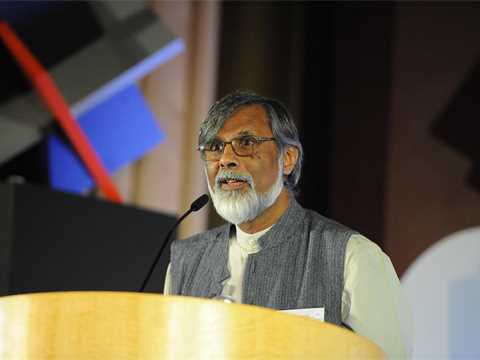 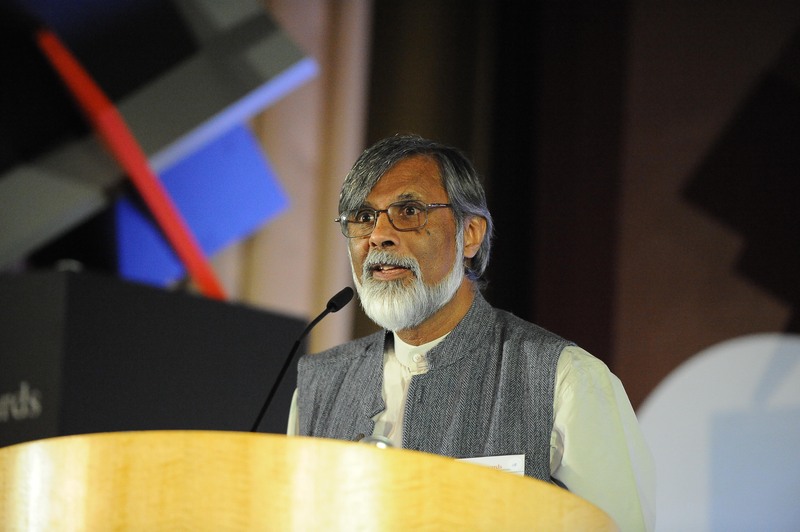 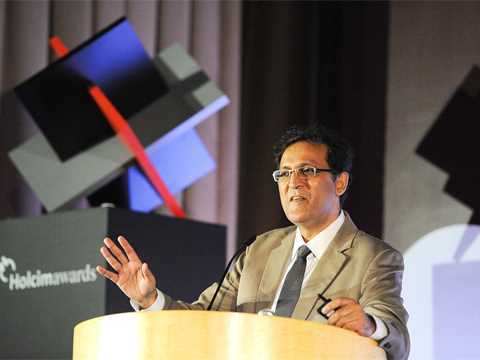 Ashok B Lall, Principal, Ashok B Lall - Architects; Visiting Professor of Architecture, Guru Gobind Singh Indraprastha University, New Delhi, India and member of the Holcim Awards jury for Asia Pacific – presentation of the Holcim Awards “Next Generation” prizes. 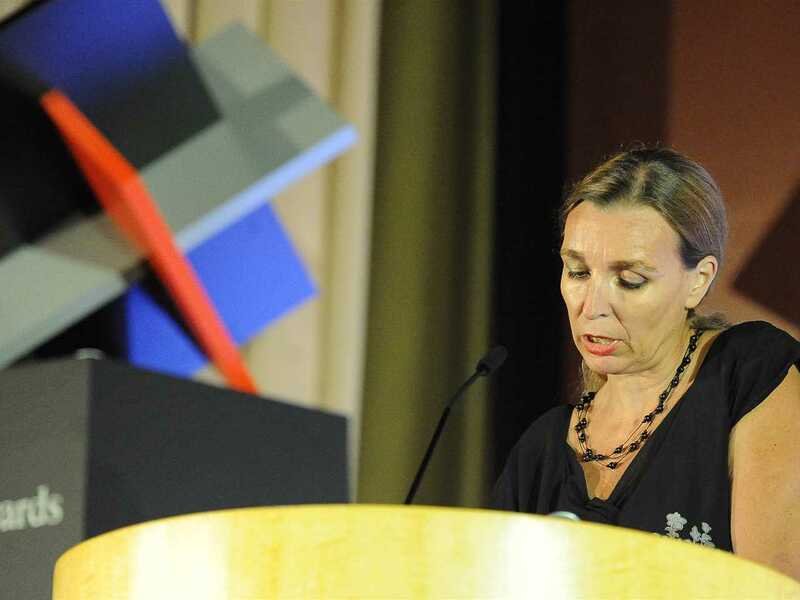 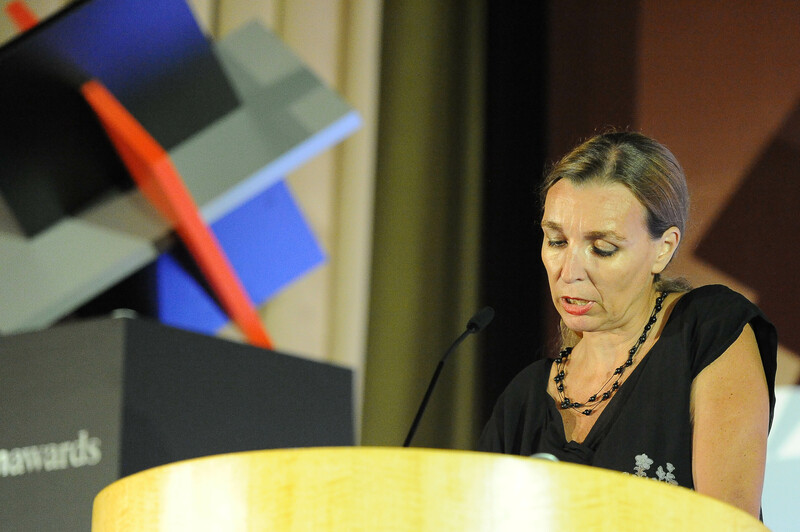 Valérie Portefaix, Director, MAP Office; Visiting Professor, Department of Architecture, Hong Kong University, China and member of the Holcim Awards jury for Asia Pacific – presentation of the Holcim Awards Acknowledgement prizes. 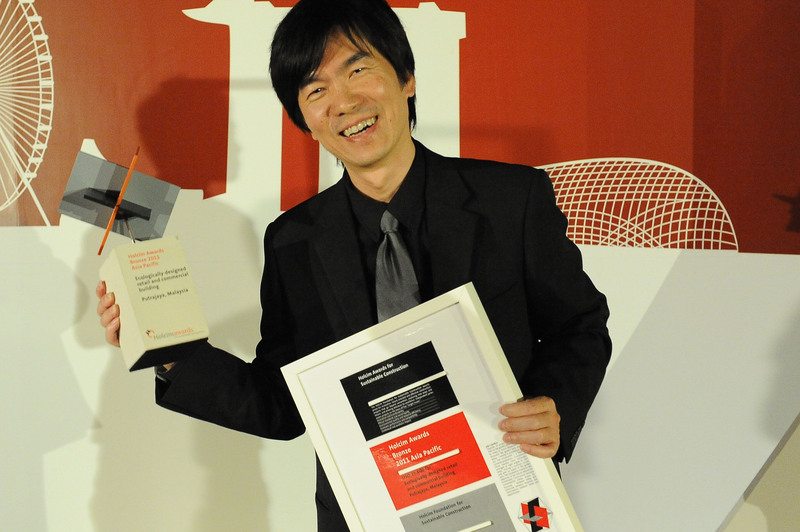 Wowo Ding, Dean, School of Architecture, Nanjing University, China and Head of the Holcim Awards jury for Asia Pacific for 2011 presents the projects winning the Holcim Awards Gold, Silver and Bronze prizes. 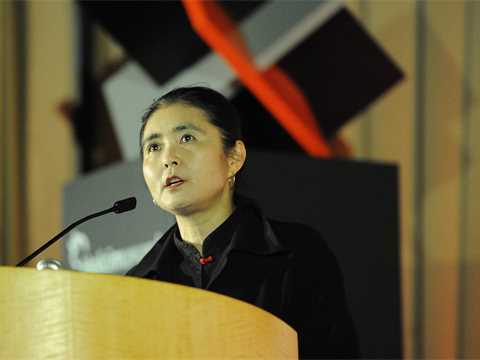 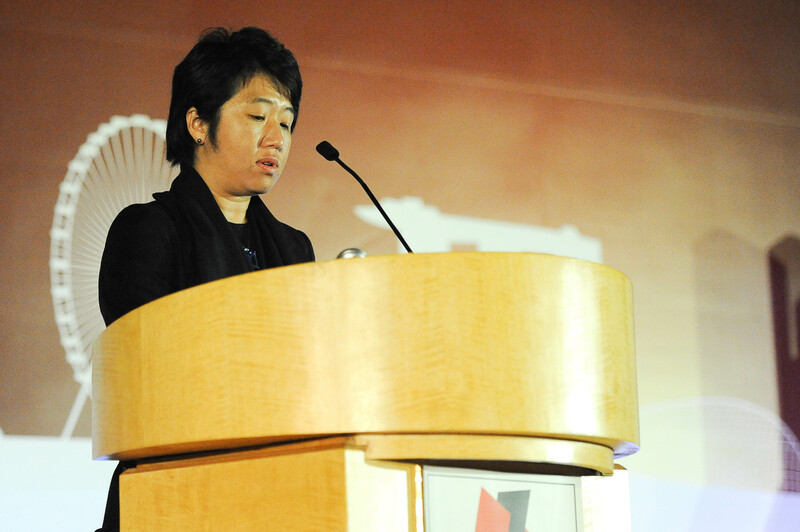 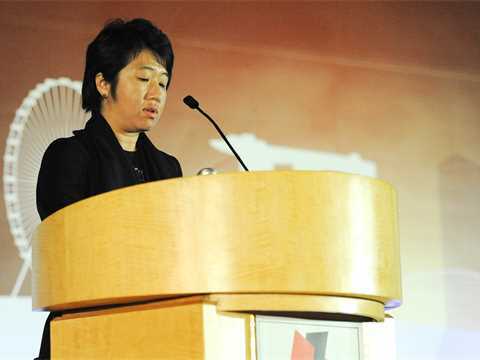 Momoyo Kaijima, Principal, Atelier Bow-Wow, Tokyo; Associate Professor, Momoyo Kaijima Lab., University of Tsukuba, Japan and member of the Holcim Awards jury for Asia Pacific – presentation of the Holcim Awards Acknowledgement prizes. 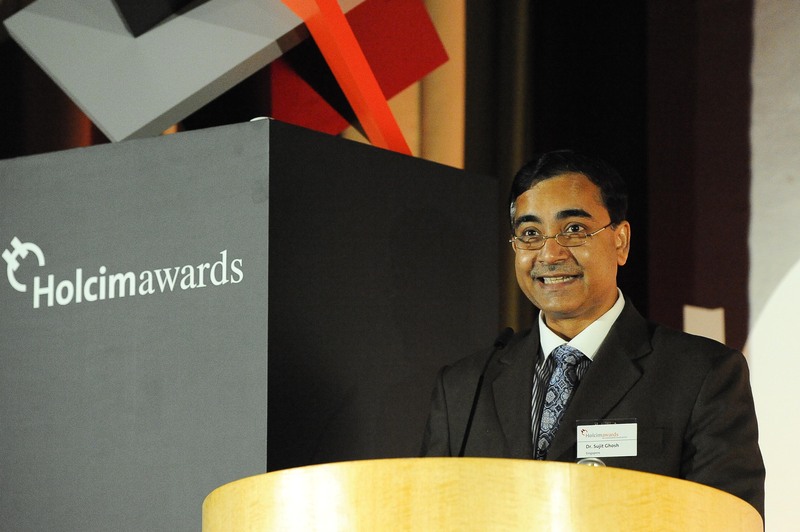 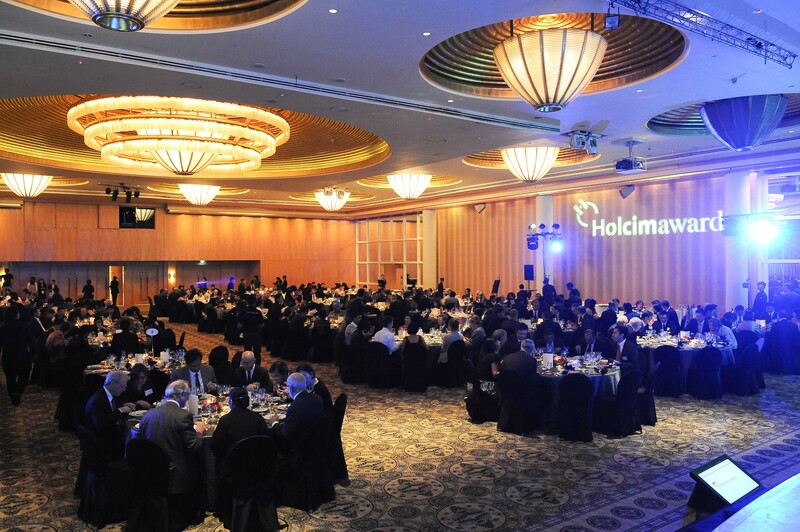 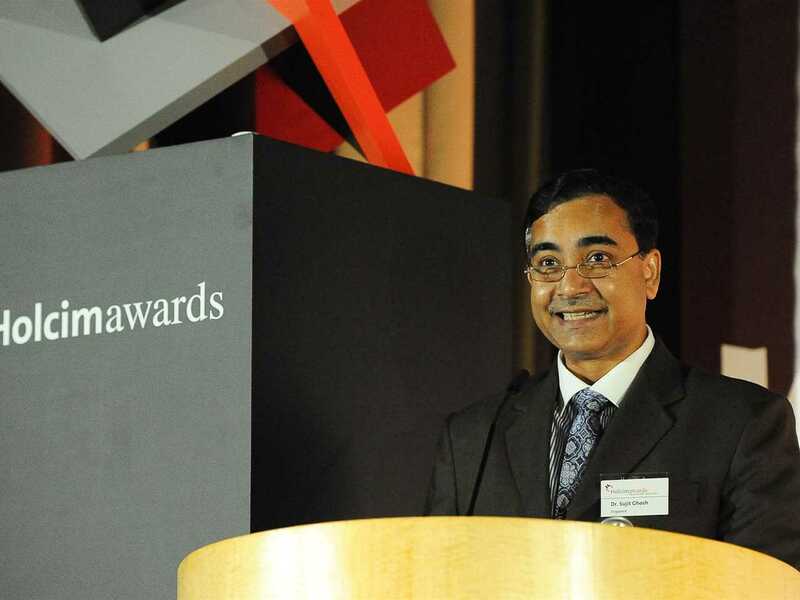 Sujit Ghosh, CEO of Holcim Singapore – farewell on behalf of host, Holcim Singapore, and the Holcim Foundation. 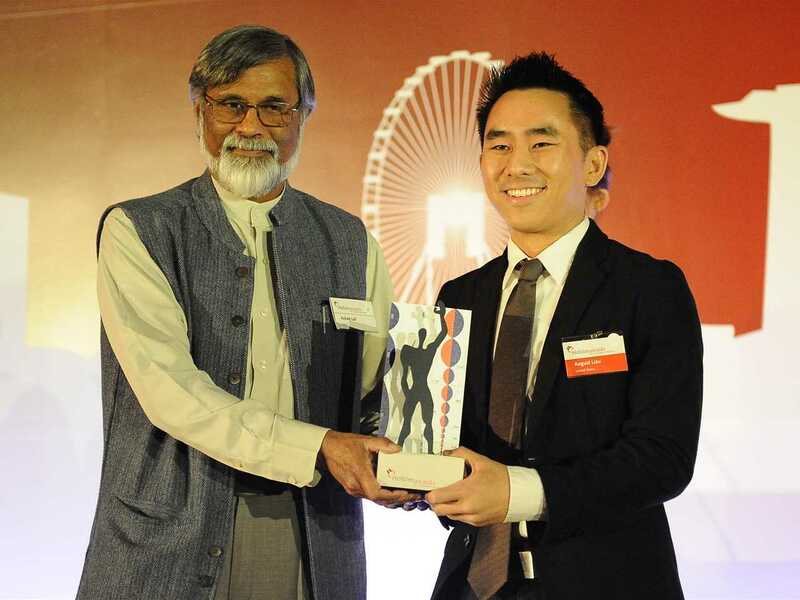 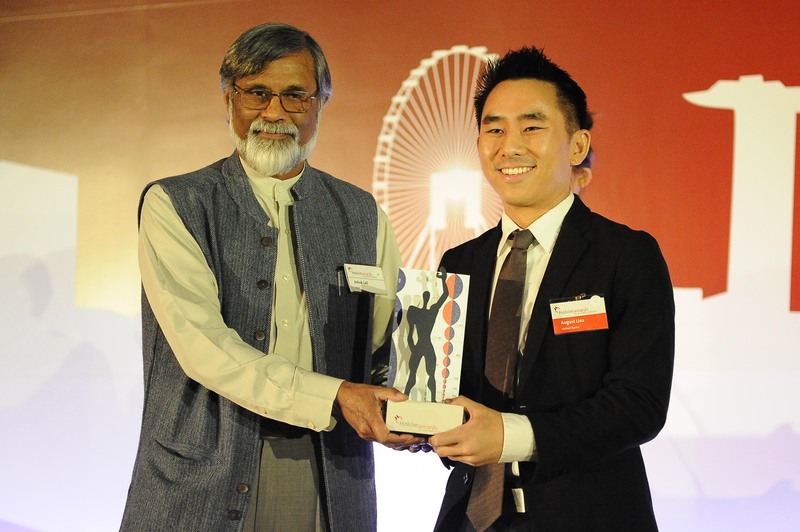 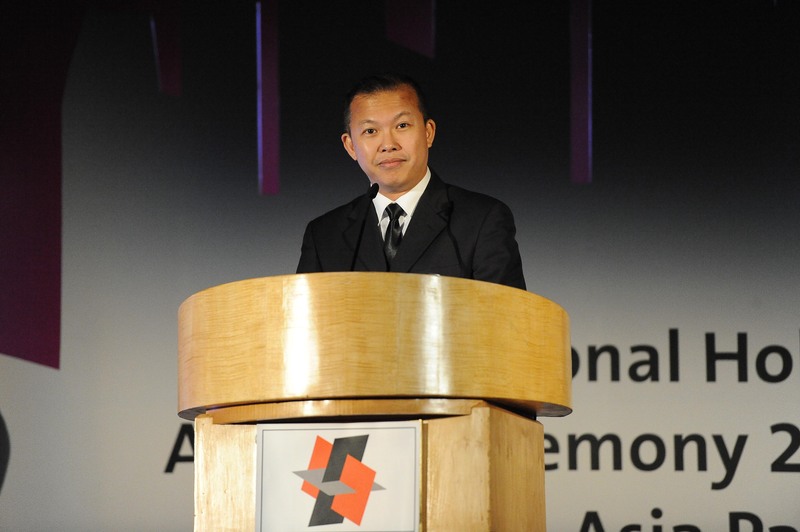 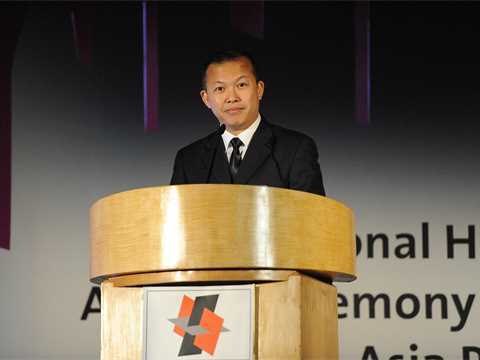 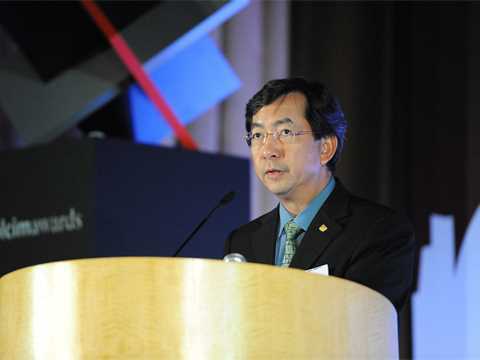 Alvin Oon – Master of ceremonies at the Holcim Awards 2011 Asia Pacific ceremony. 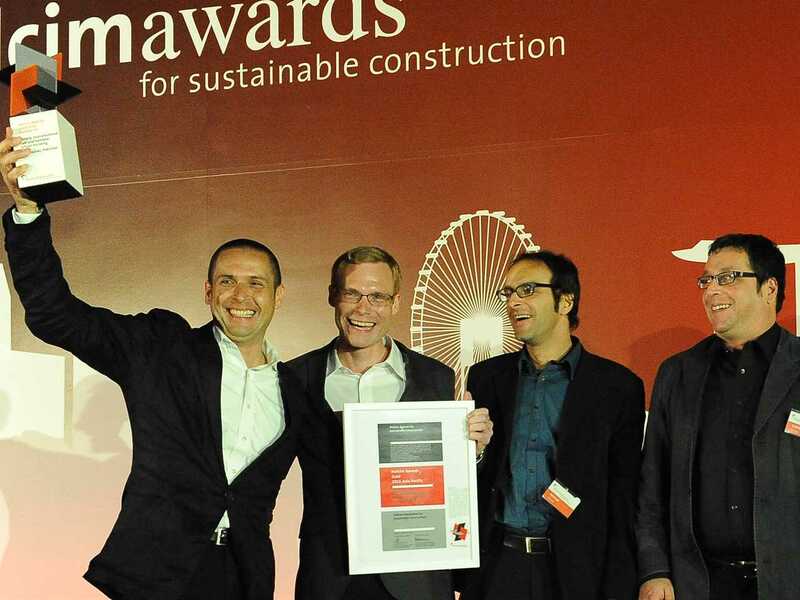 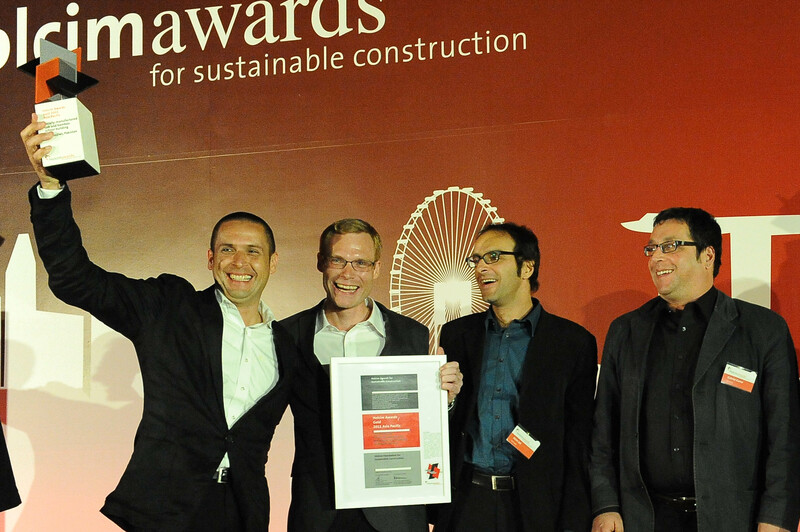 Winners of the Holcim Awards Gold 2011 Asia Pacific for “Locally-manufactured cob and bamboo school building, Jar Maulwi, Pakistan” (l-r): Eike Roswag, Ziegert Roswag Seiler Architekten Ingenieure, Germany, Arne Tönissen, Akim Jah and Karim Jah. 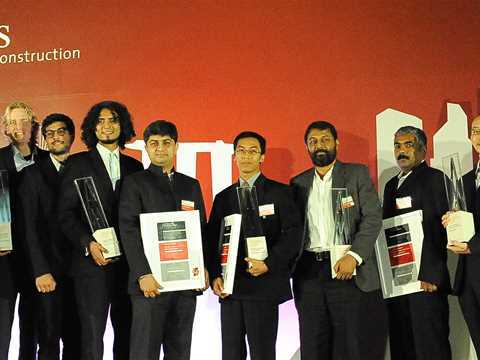 Winners of the Holcim Awards Silver 2011 Asia Pacific for “Urban agriculture and factory conversion, Bangkok, Thailand” (l-r): Phuttipan Aswakool, Singh Intrachooto, Jariyawadee Lekawatana, Amphai Tamonut, Isavaret Tamonut, Manassak Senachak and Kritpol Mekpanuwat. 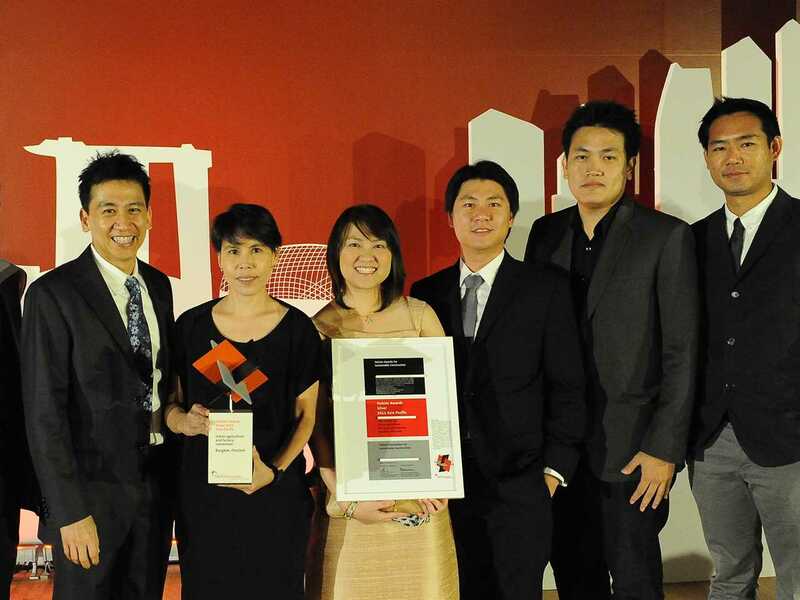 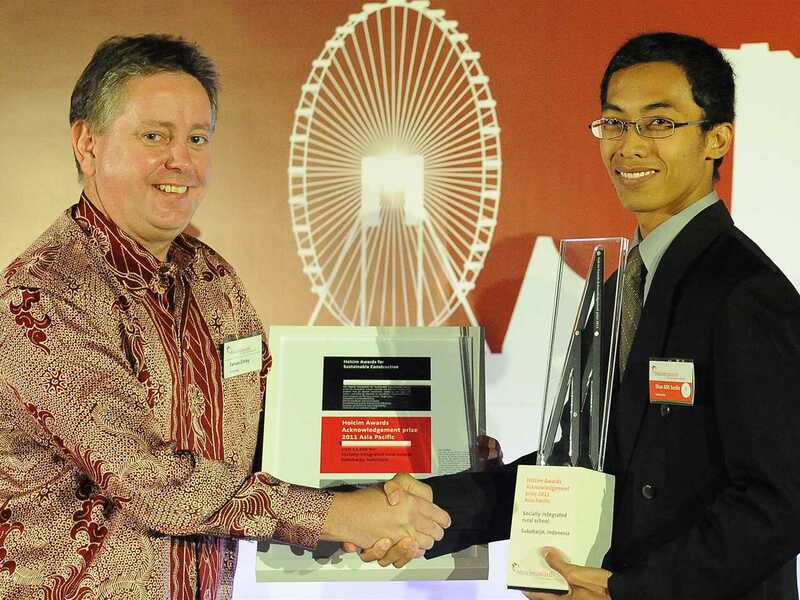 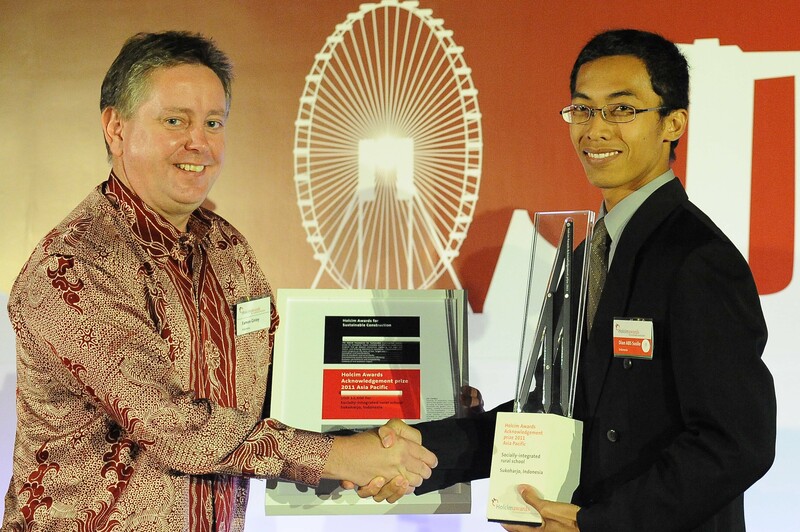 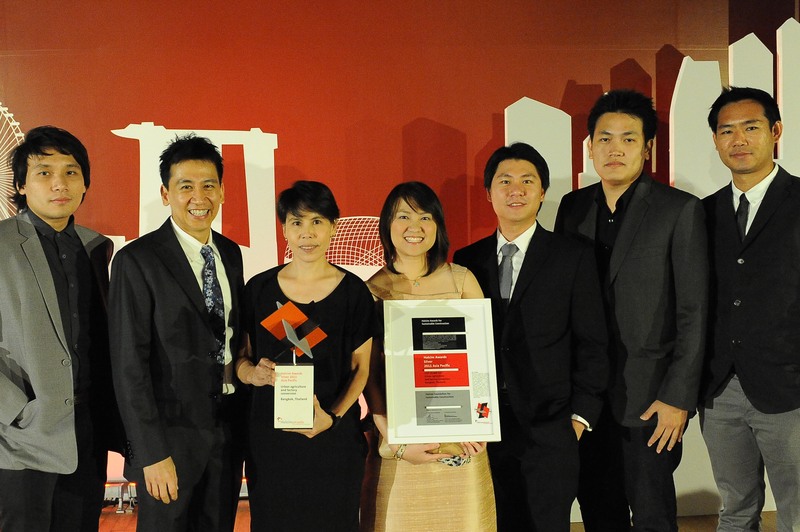 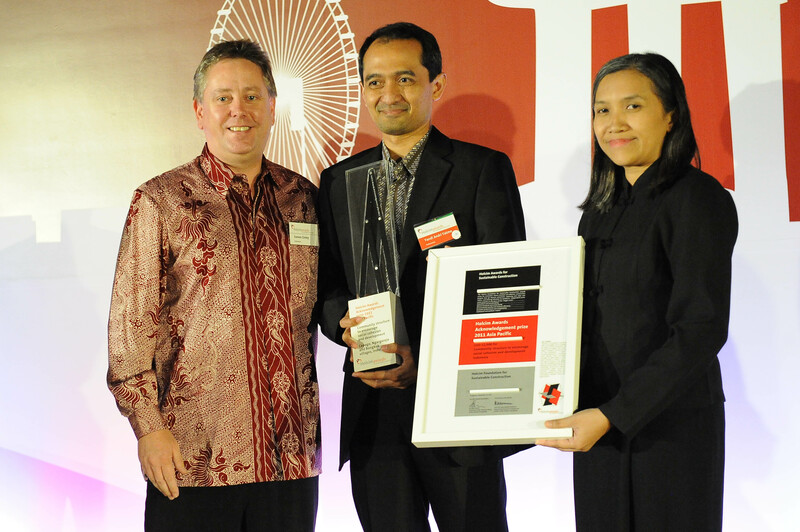 Accepting the Holcim Awards Bronze 2011 Asia Pacific for “Ecologically-designed retail and commercial building, Putrajaya, Malaysia” on behalf of winners Ken Yeang and Tengku Robert Hamzah – Andy Chong of T. R. Hamzah & Yeang International Sdn. Bhd., Malaysia. 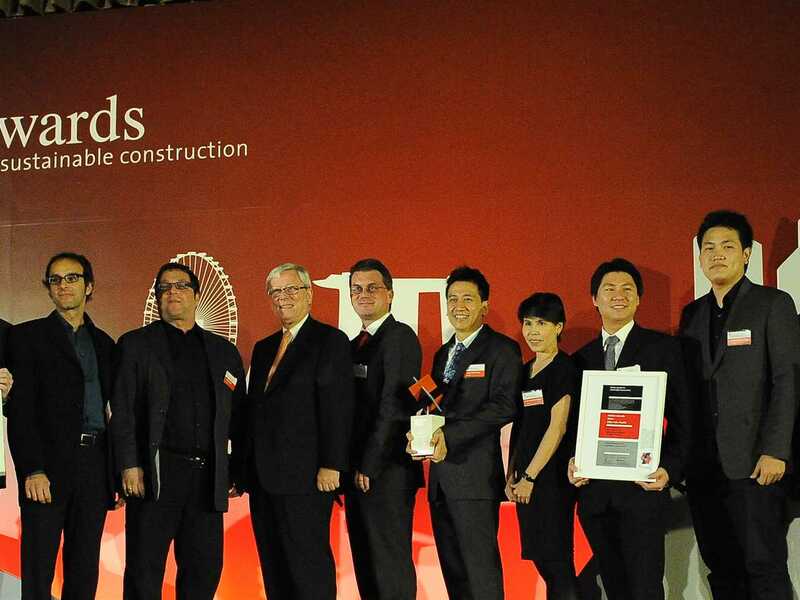 Winners of the Holcim Awards main prizes congratulated by Head of jury Wowo Ding, Dean of Architecture, Nanjing University, China (far left), Markus Akermann, CEO of Holcim Ltd (6th from left), Manuel Furtwängler, Embassy of the Federal Republic of Germany (7th from left) and Rolf Soiron, Chair of the Advisory Board of the Holcim Foundation (far right). 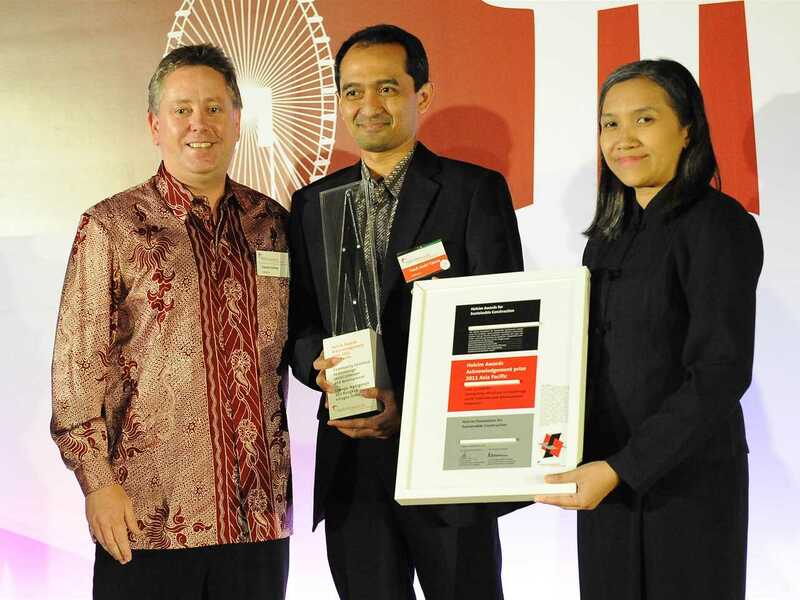 Presentation of Holcim Awards 2011 Acknowledgement prize for “Community structure to encourage social cohesion and development, Cepogo, Ngargorejo and Bongkok villages, Indonesia” (l-r): Eamon Ginley, CEO of Holcim Indonesia and prize winners Yandi Andri Yatmo and Paramita Atmodiwirjo Dept of Architecture, Universitas Indonesia. 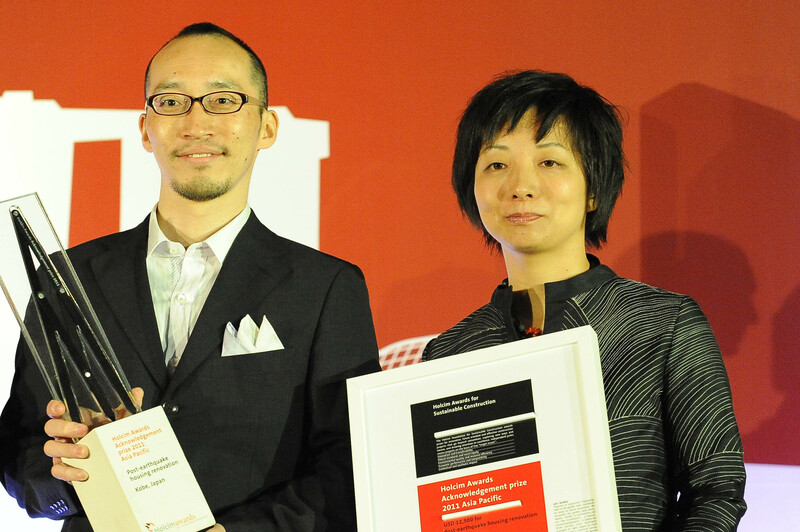 Winners of the Holcim Awards 2011 Acknowledgement prize for “Post-earthquake housing renovation, Kobe, Japan” (l-r): Masaaki Takeuchi, uzulab, Japan and Shihoko Koike, Osaka City University, Japan. 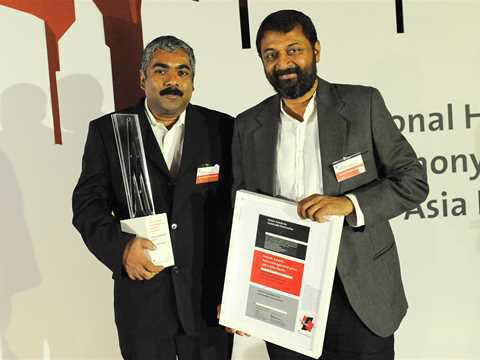 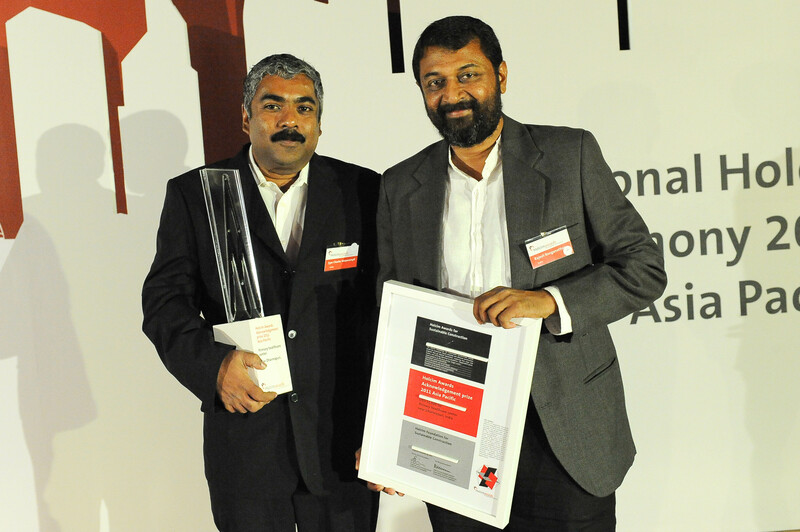 Winners of the Holcim Awards 2011 Acknowledgement prize for “Primary healthcare center, near Dharmapuri, India” (l-r): Iype Venperampil and Rajesh Renganathan, Flying Elephant Studio, India. Presentation of Holcim Awards 2011 Acknowledgement prize for “Socially-integrated rural school, Sukoharjo, Indonesia” (l-r): Eamon Ginley, CEO of Holcim Indonesia and prize winner Dian Susilo, deesignhandmade, Indonesia. 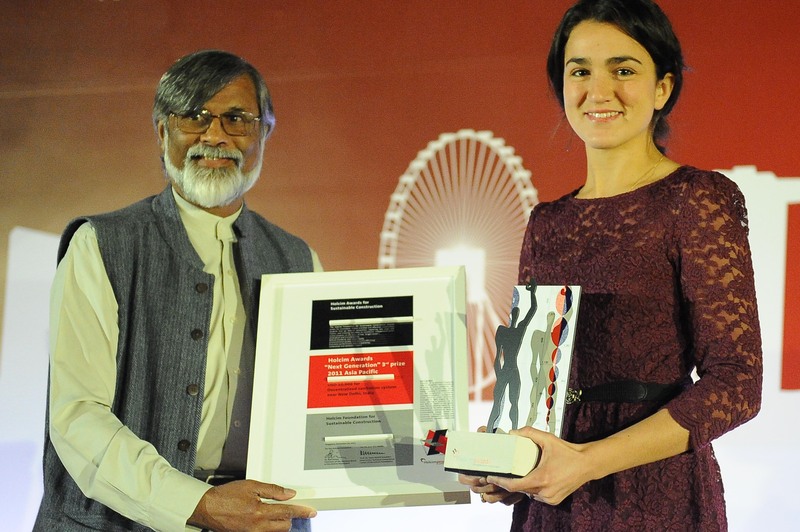 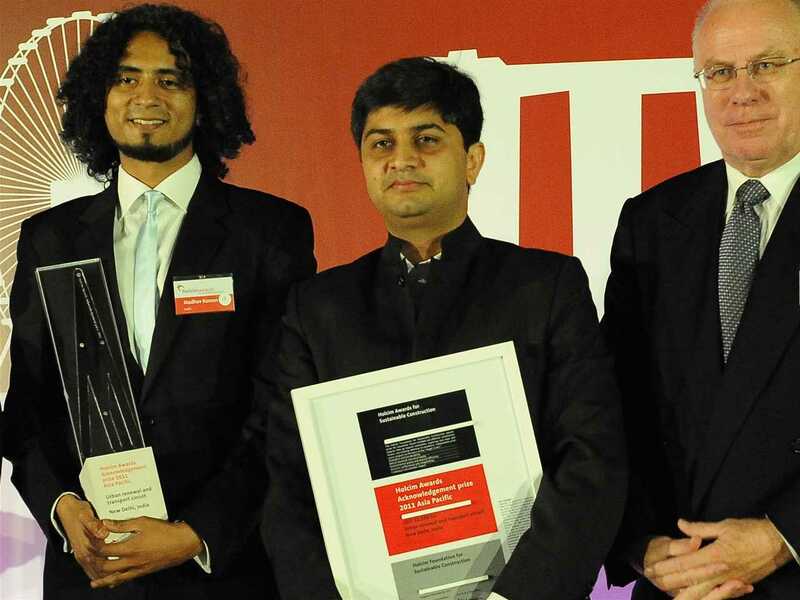 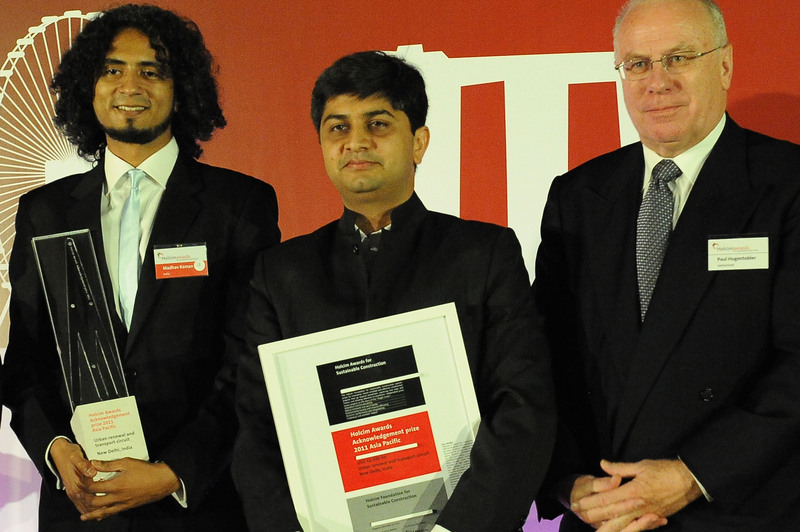 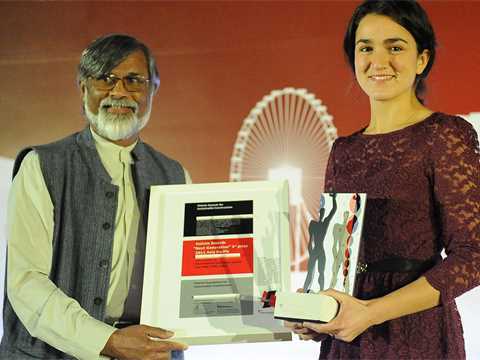 Presentation of Holcim Awards 2011 Acknowledgement prize for “Urban renewal and transport circuit, New Delhi, India” (l-r): Madhav Raman and Vaibhav Dimri, Anagram Architects, India with Paul Hugentobler, Member of the Executive Committee of Holcim Ltd. 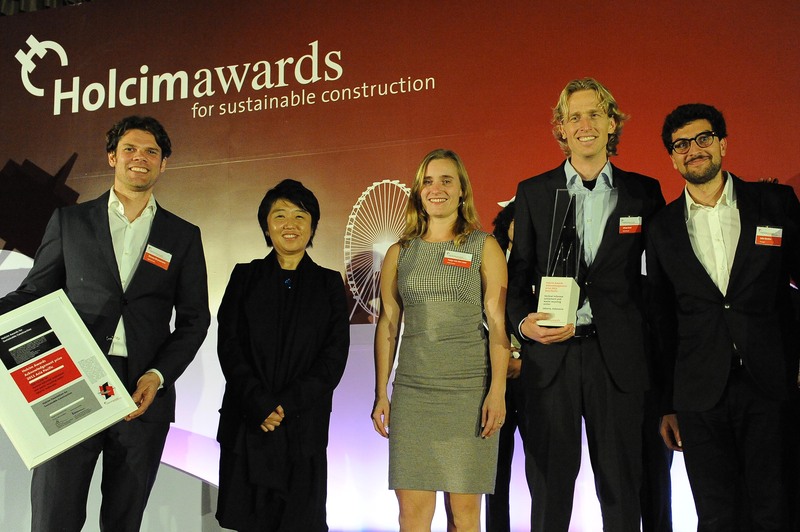 Presentation of Holcim Awards 2011 Acknowledgement prize for “Vertical informal settlement and waste recycling center, Jakarta, Indonesia” (l-r): S. Brunsmann, nunc architects, Netherlands, jury member M. Kaijima, University of Tsukuba, Japan, T. van der Laan, Plataan Architectural Design, Netherlands, J. Krol, nunc architects, Netherlands and J. Bentes, João Bentes Architect, Portugal. 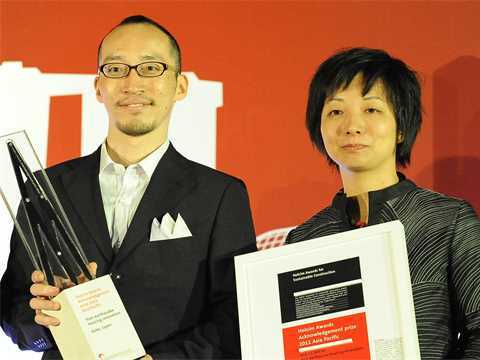 Winners of the six Holcim Awards Acknowledgement prizes congratulated by jury members Valérie Portefaix, Director, MAP Office; Visiting Professor, Department of Architecture, Hong Kong University, China (2nd from left) and Momoyo Kaijima, Principal, Atelier Bow-Wow, Tokyo; Associate Professor, Momoyo Kaijima Lab., University of Tsukuba, Japan (3rd from left). Holcim Awards 'Next Generation' 2nd prize 2011 Asia Pacific presentation for 'Town plan revitalization and urban development, Navi Mumbai, India' (l-r): jury member, Ashok B Lall, Principal, Ashok B Lall - Architects; Visiting Professor of Architecture, Guru Gobind Singh Indraprastha University, New Delhi, India and winner Mishkat Irfan Ahmed, University of California, Berkeley, United States/India. 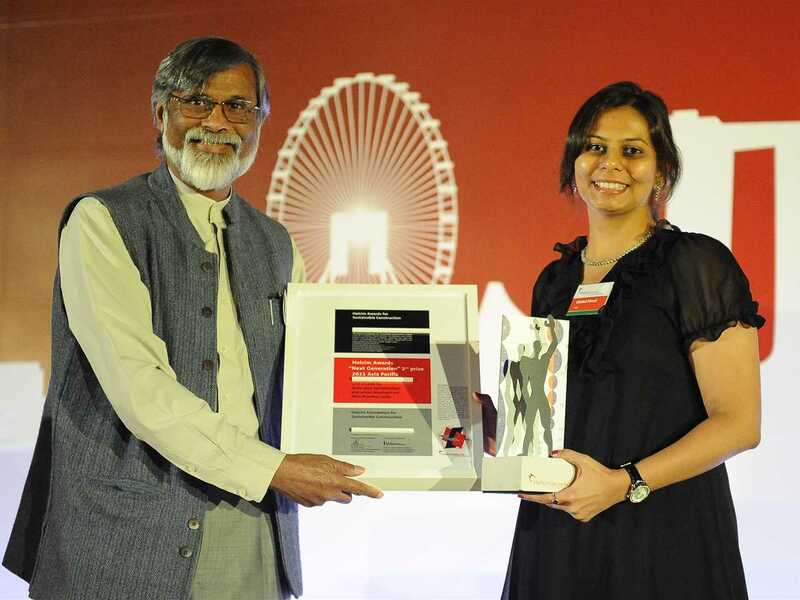 Holcim Awards 'Next Generation' 3rd prize 2011 Asia Pacific presentation for 'Decentralized sanitation system, near New Delhi, India' (l-r): jury member, Ashok B Lall, Principal, Ashok B Lall - Architects; Visiting Professor of Architecture, Guru Gobind Singh Indraprastha University, New Delhi, India and winner Julia King, London Metropolitan University, United Kingdom. 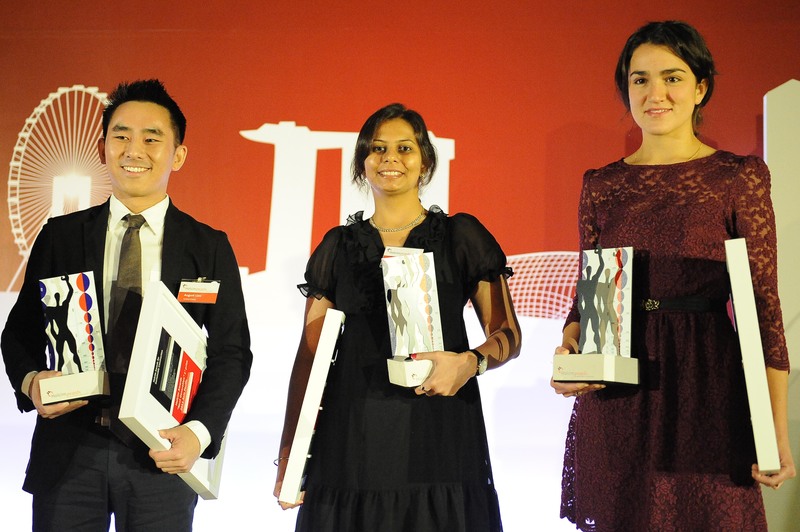 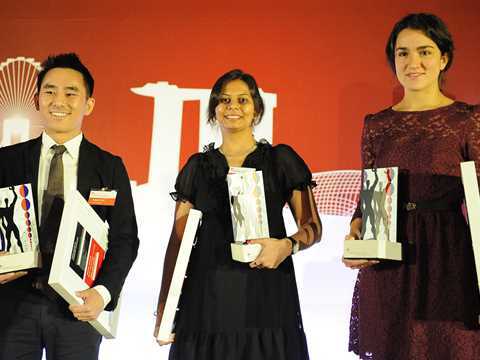 Holcim Awards 'Next Generation' prize winners (l-r): August Liau, Massachusetts Institute of Technology (MIT), United States (1st prize), Mishkat Irfan Ahmed, University of California, Berkeley, United States/India (2nd prize), and Julia King, London Metropolitan University, United Kingdom. 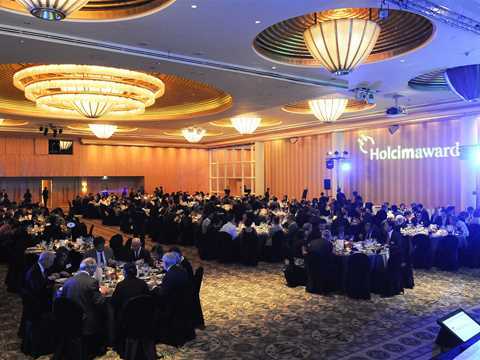 Dinner following the Holcim Awards 2011 Asia Pacific ceremony. The Holcim Awards competition recognizes the importance of engaging tomorrow’s professionals on the theme of sustainable construction through the “Next Generation” category which shares the visions and ideas of postgraduate university students. First prize was awarded to August Liau, Massachusetts Institute of Technology (MIT), United States for a project to increase bicycle commuting in Beijing, China. 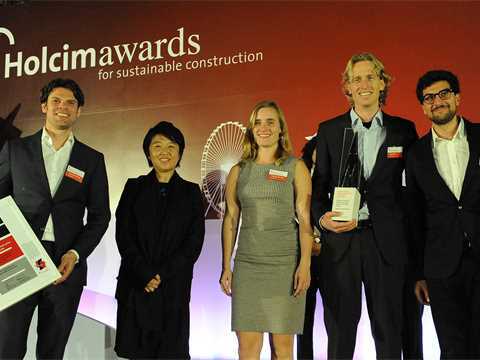 The project advocates pedal power as a dynamic alternative for urban transit and recalls its well-proven potential in the world’s former cycling capital. The jury is convinced by this remarkable project due to its visionary and strategic approach. 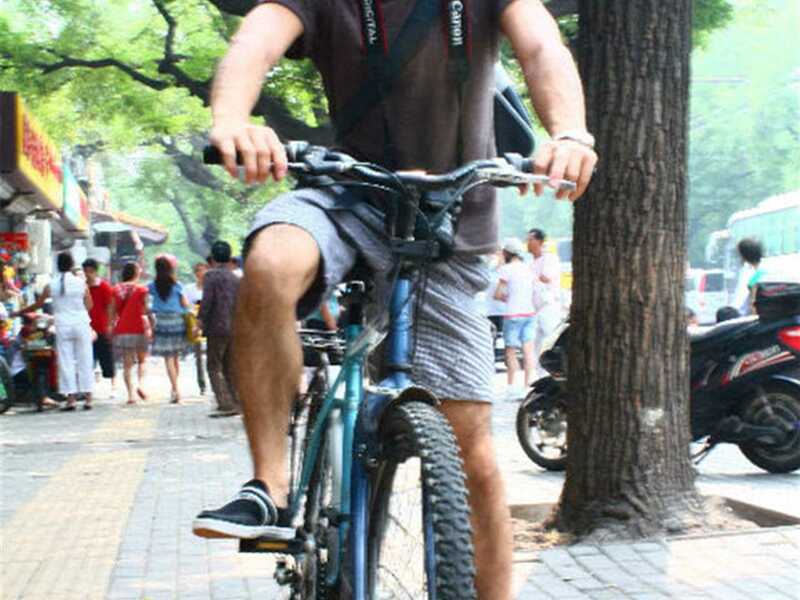 It advocates bicycling as a powerful alternative for urban transit and recalls its well proven potential in the world’s former bicycling capital. 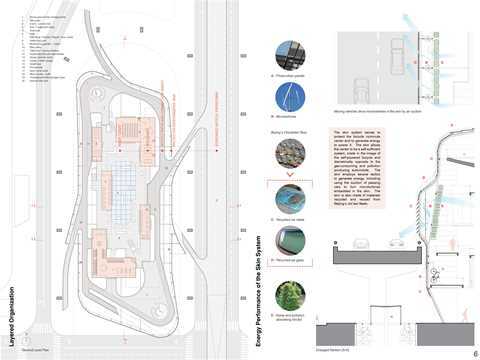 The visionary idea is shown to integrate pollution reduction and energy saving solutions into existing structures while addressing the urgency of implementing different approaches to urban transit – here and in other cities of the world. 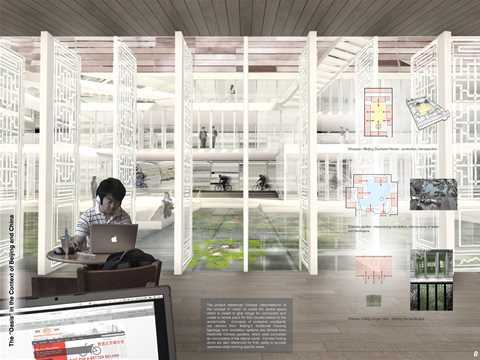 Moreover it demonstrates how residual central spaces may be occupied with beneficial and sophisticated design solutions in function, embedded systems and aesthetics that are well integrated. This “out-of-the-box” thinking sends a message to all developing metropolitan areas and provokes a process of rethinking by contemporary urban planners. 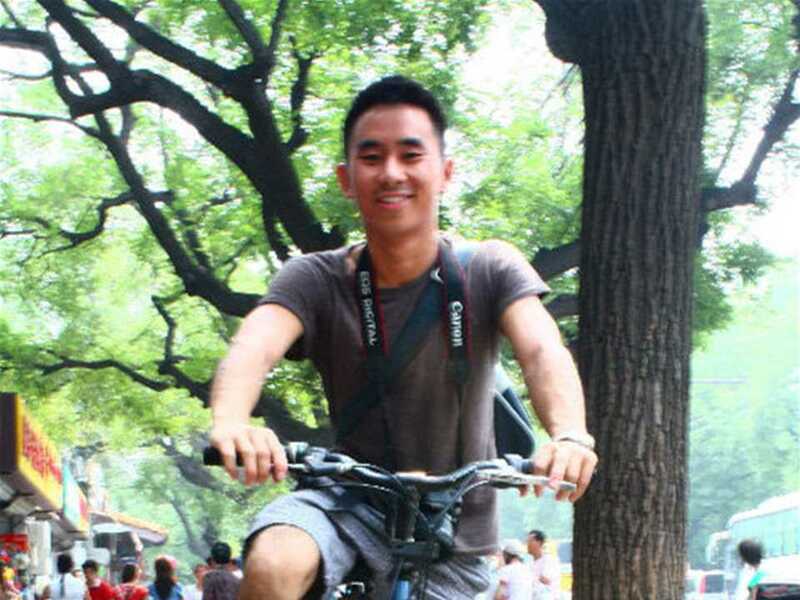 Project entry 2011 "Bicycle use for commuting revitalization project, Beijing, China": Introduction. Project entry 2011 "Bicycle use for commuting revitalization project, Beijing, China": Proposal overview. 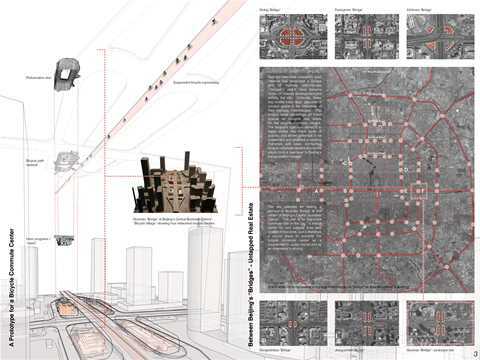 Project entry 2011 "Bicycle use for commuting revitalization project, Beijing, China": Network concept. Project entry 2011 "Bicycle use for commuting revitalization project, Beijing, China": Programmatic proposal. 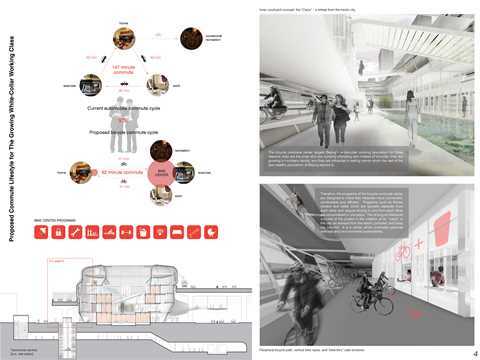 Project entry 2011 "Bicycle use for commuting revitalization project, Beijing, China": Sectional perspective. Project entry 2011 "Bicycle use for commuting revitalization project, Beijing, China": Sustainability. Project entry 2011 "Bicycle use for commuting revitalization project, Beijing, China": Environment and context. Project entry 2011 "Bicycle use for commuting revitalization project, Beijing, China": The “Oasis”. 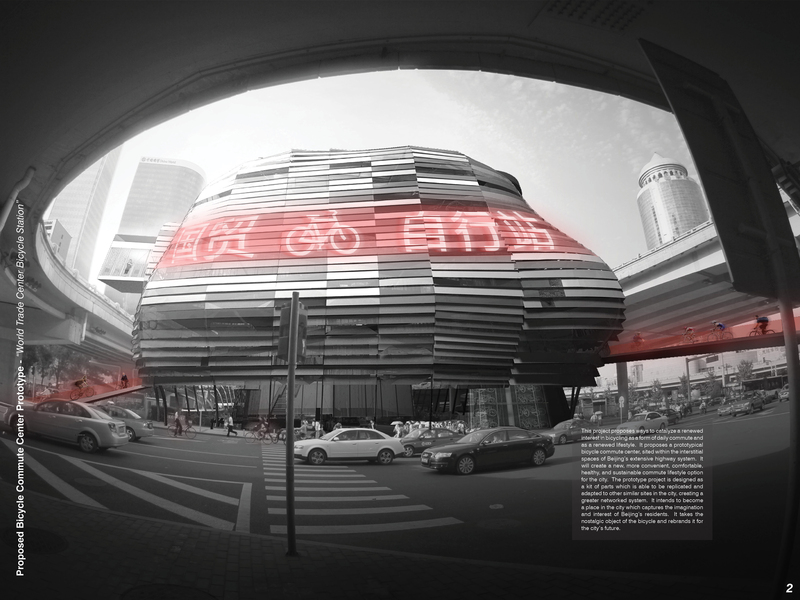 Project entry 2011 "Bicycle use for commuting revitalization project, Beijing, China": Proximity and tension. Project entry 2011 "Bicycle use for commuting revitalization project, Beijing, China": Cultural statement. 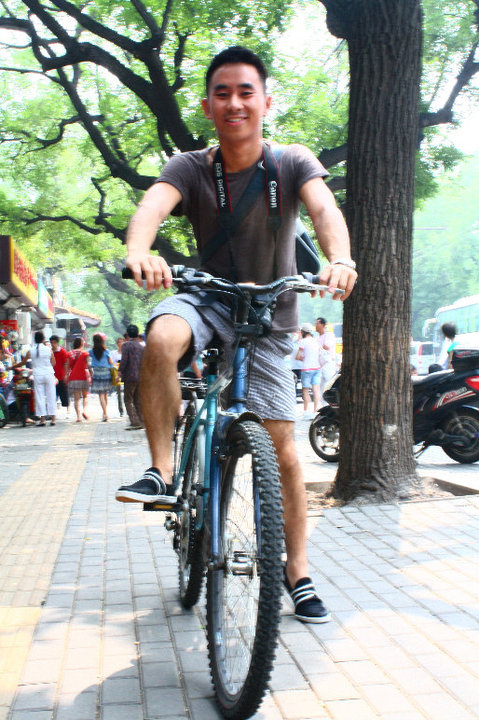 Project entry 2011 "Bicycle use for commuting revitalization project, Beijing, China": Author portrait. Like many rapidly-growing cities with a prospering society, Beijing faces significant problems caused by rapid growth in private automobile traffic – and a further 1,800 cars are added to the city’s streets every day. The Auto-Mobile Beijing project aims to reestablish a bicycle culture in the former “bicycle kingdom” providing the potential to be a model for other cities with similar conditions. On the theoretical level the project aspires to create a trendsetting new bicycle avant-garde by incorporating lifestyle components with a practical mode of transportation which makes bicycle use a desirable alternative. A parallel and independent bicycle infrastructure is planned under existing flyovers, reclaiming current wasteland in interstices of inner-city highway intersections to establish structures offering tailored functions addressing the new bicycle avant-garde. The enclosed bicycle network is placed adjacent to heavily-congested traffic routes that emphasize the effectiveness of the alternative transport mode. Cladding components recycle car metal panels and front screens, and incorporate photovoltaic panels and micro turbines to generate energy from the wind suction of passing cars.